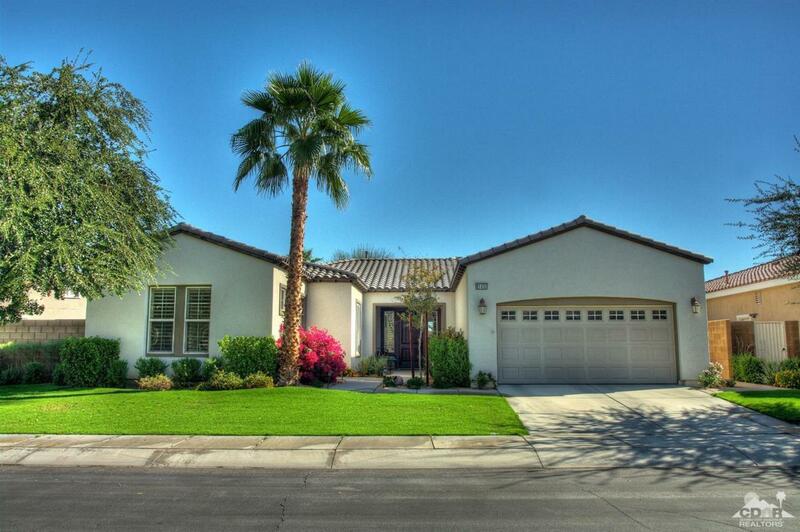 Pristine Spanish style Monarch plan of 2,091 square ft, is located in the beautiful 55+ Trilogy Country Club. Featuring 3bd/3 ba, casita. The attached casita features a en suite bath and beverage center. Monarch floor plans feature two double patio doors leading out to patio, large kitchens w/island very large covered patios. Home is in excellent condition, looks new. Must see! Listing provided courtesy of Susan Farris of Berkshire Hathaway Homeservices California Properties.